Jack Hawkes – a plant genetic resources pioneer | A balanced diet . . . I was privileged to have known Jack Hawkes for almost 40 years. I first met him in February 1970 when he interviewed me for a place on the new MSc course at the University of Birmingham on the conservation and use of plant genetic resources. I then went on to complete a PhD on potatoes under his co-supervision (with Dr Roger Rowe at the International Potato Center, in Lima, Peru). I was appointed to a lectureship in plant biology in April 1981 essentially to take over Jack’s teaching commitments on crop evolution and other genetic resources topics since he was due to retire from the university in September 1982. The post below is based on an article I wrote for the Oxford Dictionary of National Biography, published last year. John Gregory ‘Jack’ Hawkes – botanist, educator, and visionary – was born in Bristol in 1915. After completing his secondary education at Cheltenham Grammar School in 1934, he won a place at Christ’s College, University of Cambridge, graduating with a BA (Natural Sciences, first class honours) in 1937. His MA was awarded in 1938, and he completed his PhD in 1941 under the supervision of the noted potato breeder and historian, Dr Redcliffe N Salaman FRS. The university awarded Jack the ScD degree in 1957. On 20 December 1941 Jack married Barbara Ellen Leather. They had two daughters, born in 1944 and 1946, and twin sons born in Colombia in 1950. 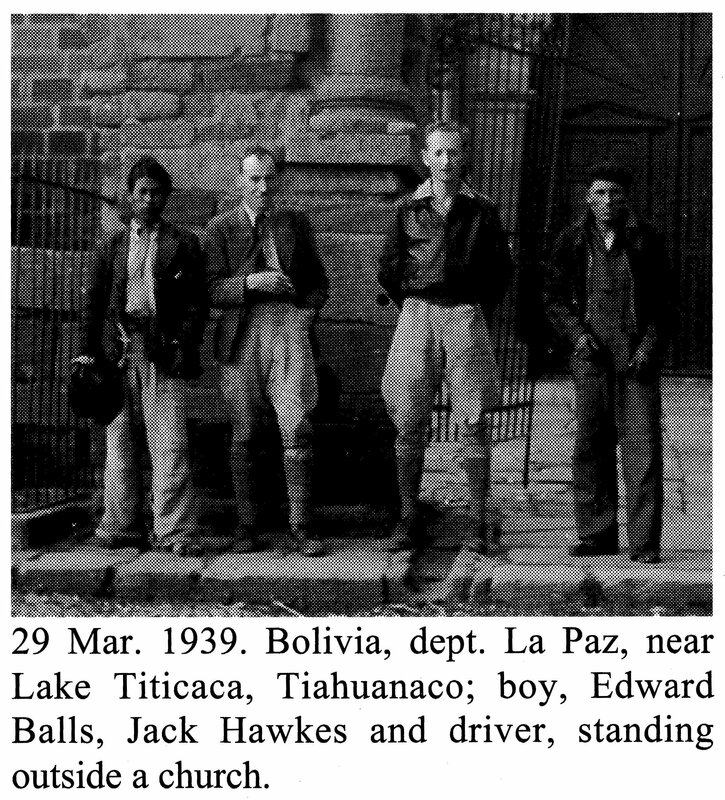 On graduation in 1937 Jack successfully applied for the position of assistant to Dr PS Hudson, Director of the Imperial Bureau of Plant Breeding and Genetics in Cambridge, for an expedition to Lake Titicaca in the South American Andes. 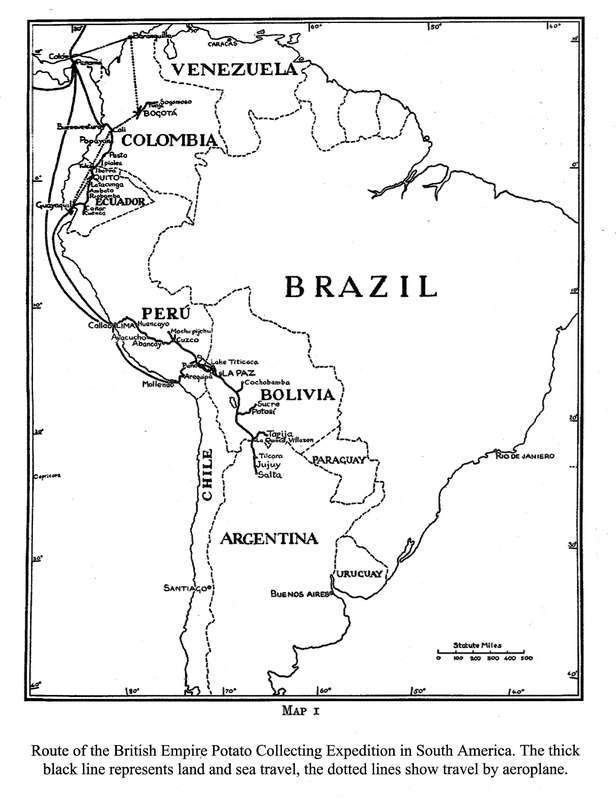 In the event this expedition did not materialize due to Hudson’s poor health, but a more comprehensive expedition was then planned for 1939, led by EK Balls, a professional plant collector. Thus began Jack’s lifelong interest in ‘the humble spud’. In order to prepare himself for the expedition, and because Jack himself recognized that he ‘knew virtually nothing about the scientific aspects of potato species’, he received permission to travel to Leningrad to meet Russian scientists SM Bukasov and SW Juzepczuk who had already collected potatoes in South America, and to seek their advice about the planned British expedition. And it was during this visit that Jack met the world-famous geneticist NI Vavilov, who he described as ‘a colossus among his colleagues both within and outside the USSR….’. He acknowledged that it had been ‘a privilege to have known him’, and was certain that Vavilov’s influence helped to shape his career. The authorities in Leningrad even attempted to recruit Jack, perhaps half-halfheartedly, as a Soviet spy – a suggestion that horrified him and which he hastily rejected. On a later visit he also met the controversial Trofim Lysenko whose influence with Stalin led to the banning of Mendelian genetics in the Soviet Union for a generation. Jack did not like Lysenko one little bit and thought him ‘a dangerous and wholly repellent person… a politician rather than a scientist’. 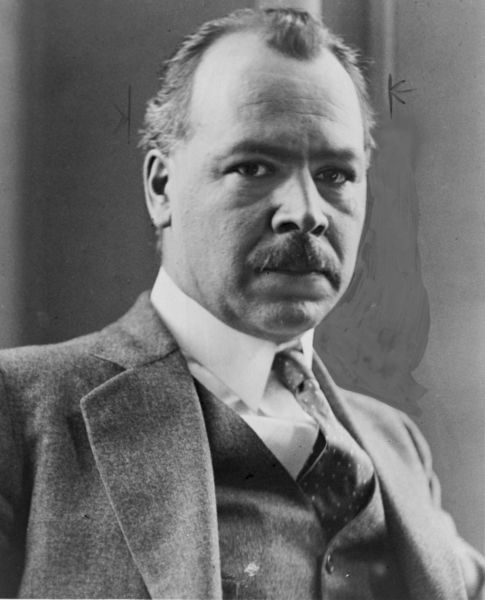 Lysenko’s ascendancy under Stalin led to Vavilov’s disgrace and early death in 1943. The 1939 expedition was the first of more than a dozen that Jack made to South and North America in search of wild potato species, and became the basis of his taxonomic treatment of potatoes, first published in 1956, with several later revisions. He had a long collaboration with Danish botanist J Peter Hjerting. Together they published two major monographs on the wild potatoes of Argentina, Brazil, Paraguay and Uruguay (1969) and Bolivia (1989) emphasizing not only the taxonomy but also breeding relationships to facilitate use in potato improvement. Jack was seconded for three years (1948-1951) by the Colombian government to establish a potato research station. Dr Nelson Estrada, a renowned Colombian potato breeder, was one of Jack’s protégés, and their hybridization research became a model for potato breeding programs. Not long after returning to the UK, Jack was appointed lecturer in botany at the University of Birmingham in 1952, and he remained there until his retirement in 1982. In 1961 he received a personal Chair in Taxonomic Botany, and in 1967 was appointed Mason Professor of Botany and head of department. 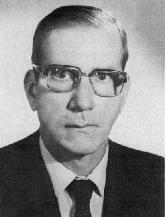 Jack actively supported the genetic resources program at the International Potato Center (CIP) in Lima, Peru from 1973, and several of his PhD students did their thesis research there. He also acted as scientific adviser to the Commonwealth Potato Collection in Scotland (founded from germplasm he collected in 1939) and the USDA potato collection at Sturgeon Bay, Wisconsin. In addition to his lifelong research on potatoes, Jack also spearheaded scientific interest in the Solanaceae plant family that also includes tomato, tobacco, chili peppers, and eggplant, and many species with pharmaceutical properties. With colleagues at Birmingham in the late 1950s he developed serological methods to study relationships between potato species. 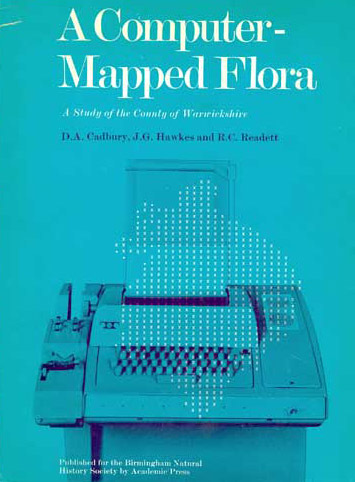 He was also one of the leading lights to produce a computer-mapped Flora of Warwickshire, a first of its kind, published in 1971. One of Jack’s most important legacies, stemming from his knowledge of potatoes, was his participation in and contributions to the nascent genetic resources conservation movement of the 1960s. Led by eminent Australian wheat breeder, Sir Otto Frankel FRS, Jack joined the FAO Panel of Experts that included plant collector Erna Bennett and Illinois professor and cereals expert Jack Harlan, among others. They envisioned a world-wide effort to conserve plant genetic resources in a network of genebanks, and gave impetus to international efforts to collect and conserve plant varieties that were threatened with extinction. 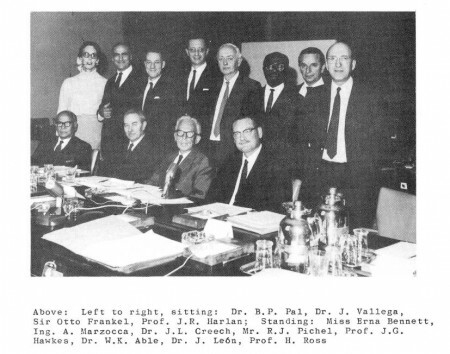 These efforts led eventually to the establishment of the International Board for Plant Genetic Resources (IBPGR, now Bioversity International) in Rome, Italy under the auspices of the FAO. Shortly after being appointed Mason Professor of Botany, Jack received support from the university to develop an international 1-year training course in plant genetic resources. In September 1969 five students enrolled on this MSc course that was subsequently offered for almost four decades – significantly longer than Frankel had predicted when Jack first mooted the idea. The course remained the only formal training course of its kind in the world, and by 2008 had trained over 1400 MSc and 3-month short course students from more than 100 countries, many becoming genetic conservation leaders in their own countries. The training continues at Birmingham, but in a different format. Jack received many honors and awards, including the 1973 Frank N Meyer Memorial Award from the American Genetic Association for services to plant introduction, and the 1996 Distinguished Economic Botanist Award from The Society for Economic Botany. In 1984 he received the Linnean Medal from the Linnean Society of London, of which he was later elected president (1991-1994), a role that gave him immense pleasure*. He received an OBE for services to botany in 1994. He was awarded the Congress Medal of the XII International Botanical Congress held in Leningrad in 1975, of which he was a Vice President. In 1989 the Potato Association of America elected Jack as an Honorary Life Member. But what probably gave him most pleasure was the Vavilov Medal and the Honorary Professorship from the NI Vavilov Institute of Plant Industry, awarded only twice, and Jack the only non-Russian. In a sense, his life’s work had come full circle from the moment in 1938 when, as a young man of 23, he met the great geneticist at the institute that now bears his name. 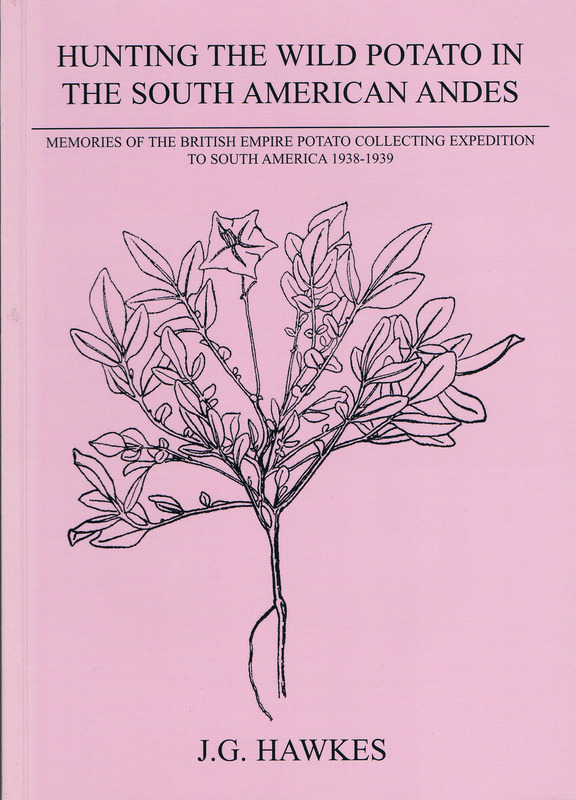 Following retirement from the university Jack continued to actively publish until 2004 when his memories of the 1939 expedition – and his initiation into the world of the potato – were published under the title Hunting the Wild Potato in the South American Andes. After Barbara died in 2005, and increasingly frail, Jack left his home of more than 50 years in Harborne, Birmingham and moved to Reading to be near family. And there he died in September 2007, aged 92. * A meeting, The Future of Plant Genetic Resources, was held in Jack’s honour at The Linnean Society in May 2009. This entry was posted in Birmingham, People and tagged potato, South America. I am so proud of my Professor, Prof. J. G. Hawkes. I had the privilege of being his student at Plant Biology Department, Birmingham University. I received my M. Sc. Degree in ” Conservation and Utilization of Plant Genetic Resources” & Ph. D. In Plant Biology, while our dear Prof. Hawkes was still alive. I love him, his wife and family so much. Every Christmas he invited all of his students to his lovely home, where we were treated like a family member. I never forget the love and hospitality that I received from my dear Prof. & Mrs. Hawkes. I miss them a lot. I am crying right now. May they both Rest In Peace. Thank you for your love and being our dear Professor.